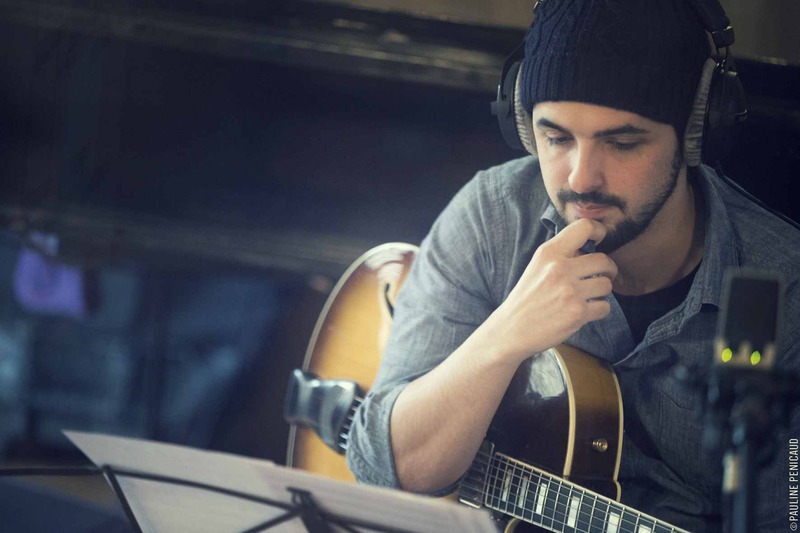 Premier label de jazz participatif français, jazz&people vous invite à soutenir le nouvel album du guitariste Romain Pilon featuring les deux ténors américains Walter Smith III et Ben Wendel ! 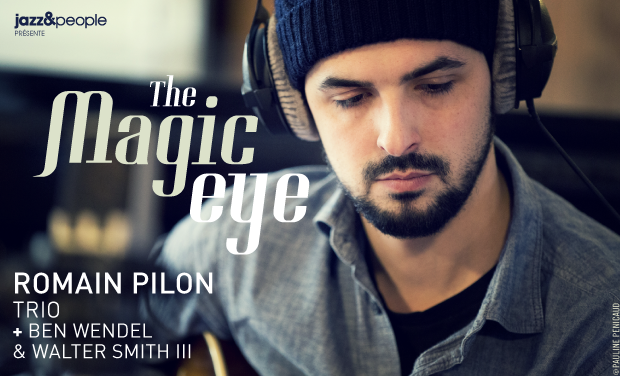 "The Magic Eye" is Romain Pilon’s third album as a leader, which he finished to record recently. For this project, the guitar player alternates the trio and quintet format through a new set of seven originals and one rendition of "Fleurette Africaine" by Duke Ellington. 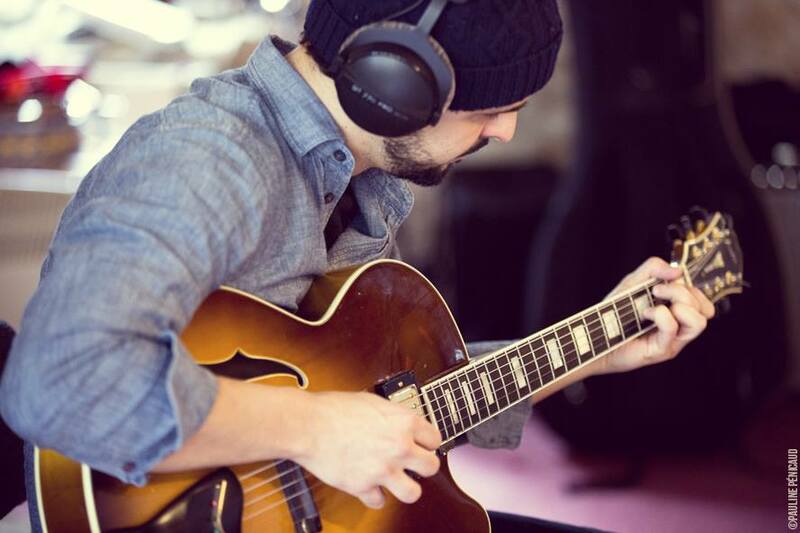 With influences drown from many musical genres, the result is fresh, modern and connected to the developments founded in jazz in the recent years, between Paris and New York. The trio : In the past five years, Romain has played extensively with Fred Pasqua (drums) and Yoni Zelnik (acoustic bas). They have found a singular, highly interactive, approach to the jazz guitar trio, allowing the leader to develop his introspective lyricism and elegant sense of phrasing. Côté quintet : la rencontre excitante et explosive — inédite sur disque jusqu'à présent ! 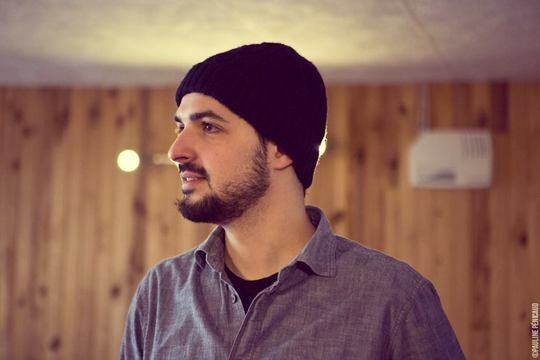 — de deux des ténors dont la cote grimpe en flèche dans le monde du jazz, Ben Wendel et Walter Smith III, sur une série de compositions conçues sur mesure pour mettre en évidence leurs styles respectifs. Jouant à la fois de leurs proximités de style et de leur sens de l'émulation, cette rencontre s'apparente à une version contemporaine de la tradition des chases à deux ténors, dans la lignée complice d'Al Cohn et Zoot Sims, Dexter Gordon et Wardell Gray ou Johnny Griffin et Lockjaw Davis, mais bien ancrée dans le XXIe siècle. "During the last five years i’ve had the chance to play regularly with acoustic bass player Yoni Zelnik and drummer Fred Pasqua. 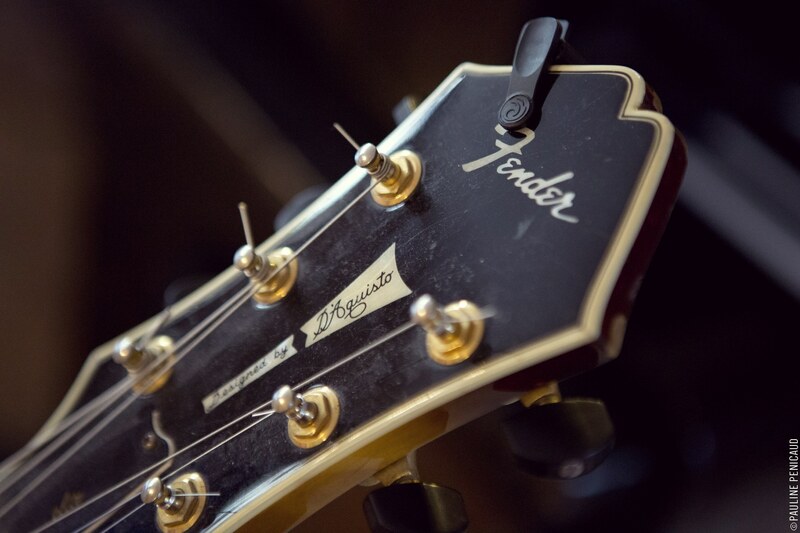 Playing gigs and sessions, we have developed a special kind of connection and a sound I believe is our very own. 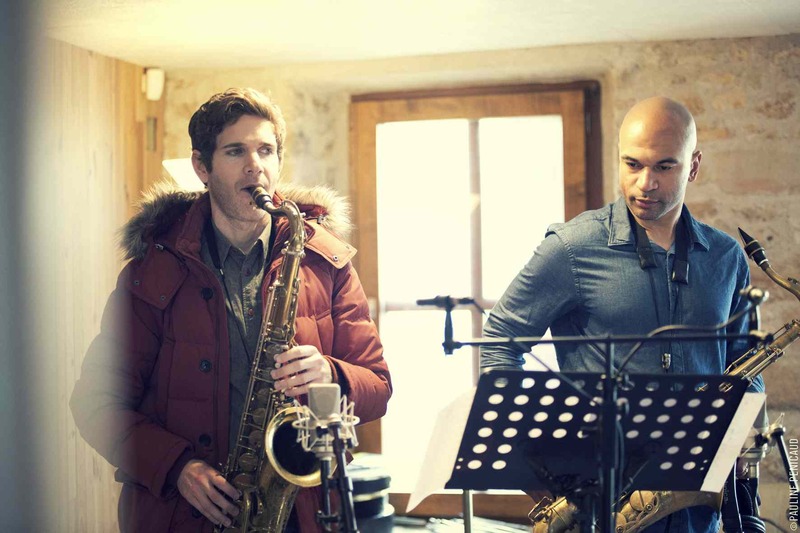 I was really impatient to bring this trio to the studio and also thought it would be interesting to add two tenor saxophonists: Ben Wendel and Walter Smith III. I am a big fan of their playing, i knew they were friends and had worked a few times with them separately: I also liked the idea to have both on a record for the first time. This album has been written over a quite long period of time, i tried to develop long forms, various textures and to get rid of any stylistic barriers. I’ve been inspired by places, moments, arts in general, people but mainly by the birth of my daughter. Thanks in advance for your support on this project." 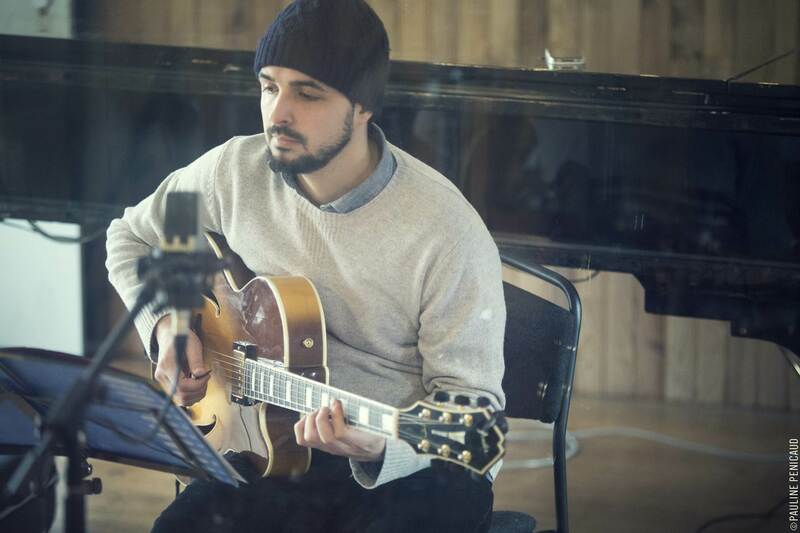 Described as "a guitarist with a fluid and demanding imagination" by the French magazine Jazz News, Romain Pilon is one of the faces of the new jazz breed from France. 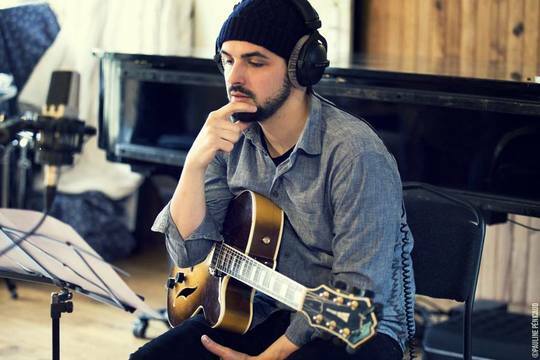 During his studies Romain was presented with three Berklee College music awards and in 2002 his quartet opened for Pat Metheny, representing the entire school guitar department of over 1000 students. A founding member of the Paris Jazz Underground collective, he came into the radar with the quartet he coleads with saxophonist David Prez. 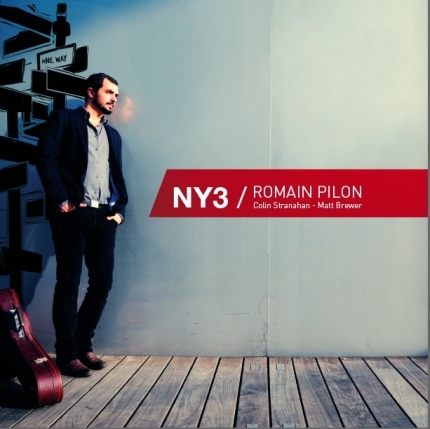 His "wonderful originality" (France Musique) was celebrated with the release of "NY3", a trio album recorded in 2011 in New York. 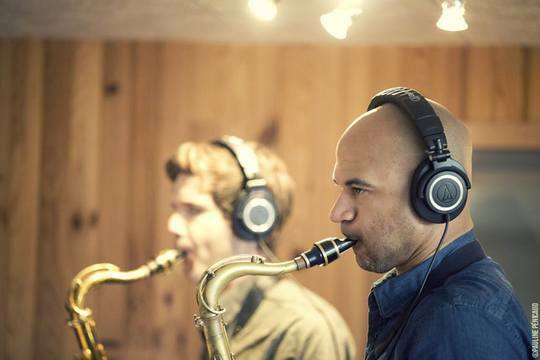 In 2013, he reunited with his Berklee classmate, saxophonist Walter Smith III on the album Colorfield. 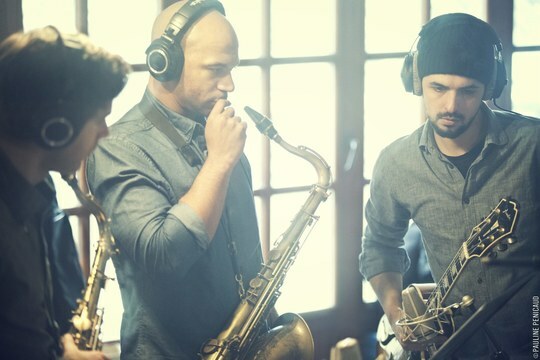 Two years later, he is pairing with him again, along with saxophonist Ben Wendel. Mostly know as a regular member of the Ambrose Akinmusire Quintet and Eric Harland's band Voyager, Walter Smith III went first noticed for his contributions to drummer Roy Haynes' and trumpeter Terence Blanchard's band. Originally from Houston, a graduate from the same high school as Jason Moran and Robert Glasper, a member of the NEXT Collective, Walter Smith stands out, as any great saxophonist, by a very personal sound and a phrasing of a stunning rhythmic ease. He has released his fourth album, Still Casual, last September, and cosigned the album The Lafayette Suite with French pianist Laurent Coq released on jazz&people. 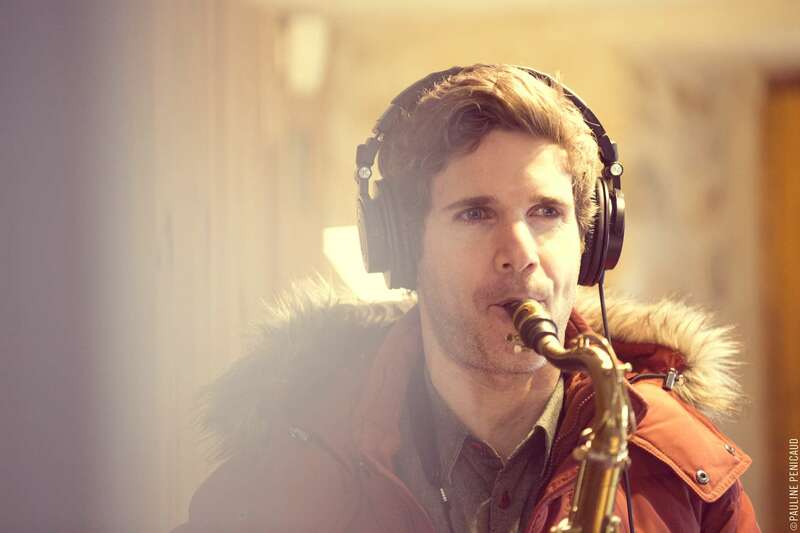 "A wide-open sensibility, about as tuned to Bach and Björk as Monk and Shorter" says The New York Times about this extraordinary saxophonist, who also performs on bassoon and melodica. 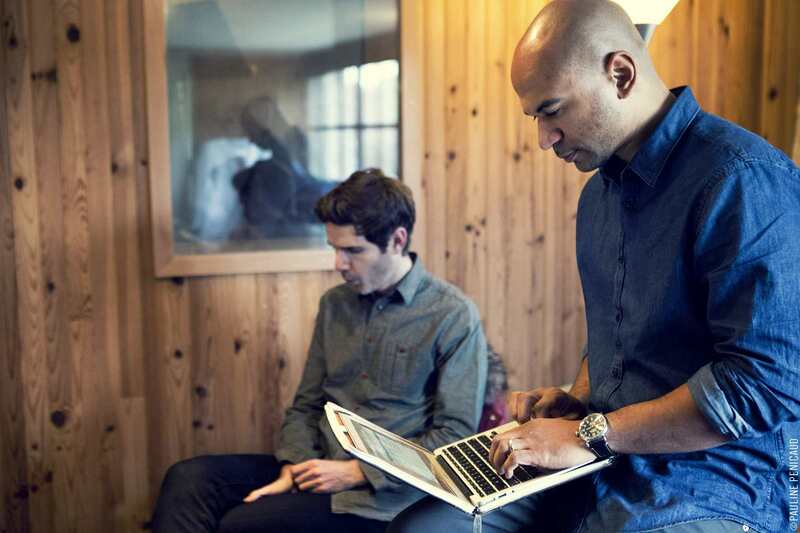 A founding member of the band Kneebody, hailing from Los Angeles, Ben Wendel has taken part to many projects developped with pianist Tigran Hamasyan and revealed his sense of creativity with a duo album recorded with pianist Dan Tepfer. 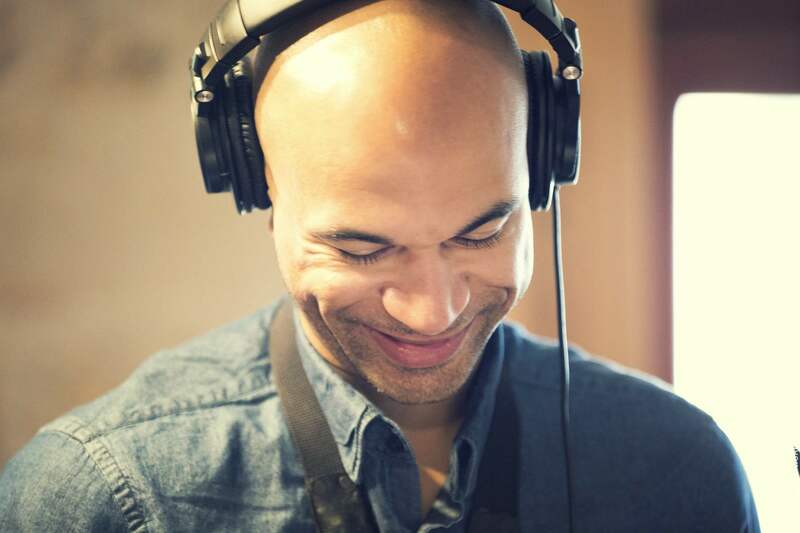 This year he has launched The Seasons, a project for which he has written twelve compositions (one for each month of the year) that he reveals one by one by performing them in duo with a guest musician (Eric Harland, Joshua Redman...) and sharing the video online. 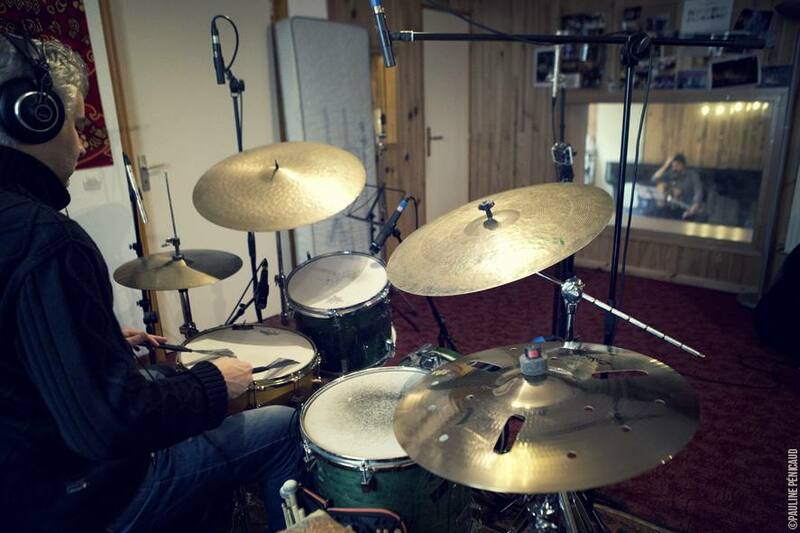 "The Magic Eye" was recorded in December 2014 (trio tracks) and February 2015 (quintet tracks) at studios des Egreffins. With Romain Pilon (guitar), Yoni Zelnik (double bass) and Fred Pasqua (drums) + Ben Wendel et Walter Smith III (tenor saxophone) on 1, 3, 4 et 7. At this time, the album has been recorded and mixed. However, one final step needs to happen before this music sees the light. That's why we are in need of your support. What will happen if we get more than 6000 euros at the end of this campaign ? Then we will have more means to better promote this music and make it more visible/audible. But if we do not reach our goal, we will not get a dime! We offer many rewards that will allow you to help us achieve our goal according to your budget, from advance download of the music, physical CD with your name in the booklet to a private concert of Romain Pilon's trio or different packages of CDs pairing 'The Magic Eye' with Romain's past albums. In advance, we sincerely thank you for your interest and most of all, for your support. A download of the album, ahead of its official release. A CD copy of the album, ahead of its official release. HD "Studio Masters" 24 bits quality download of the album, ahead of its official release (superior sound quality, not compressed) with digital booklet. The CD, in advance, with a personalized autograph and your name credited in the booklet. One copy of the limited vinyl edition (pressing to 500 copies). Pack LIVE : "The Magic Eye" en CD en avant-première, avec une dédicace personnalisée + 1 place au concert de sortie au Sunside le 12 octobre 2015 avec Ben Wendel et Walter Smith III. QUANTITÉS TRÈS LIMITÉES. Pack CD+HD: one copy of the CD + "Studio Masters" 24 bits HD download of the album (superior sound quality, not compressed, with digital booklet and your name credited in the booklet. 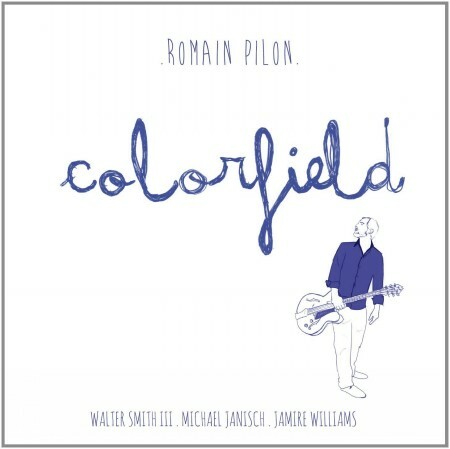 "Colorfield" 2-CD Pack: The CD "The Magic Eye" in advance, with a personalized autograph + a HD "Studio Masters" 24 bits download of the album + the CD "Colorfield" by Romain Pilon (2013, with Walter Smith III, Jamire Williams and Michael Janisch). "NY3" 2-CD Pack: the CD "The Magic Eye" in advance, with a personalized autograph + a HD "Studio Masters" 24 bits download of the album + the CD "NY3" by Romain Pilon (2011, with Matt Brewer and Colin Stranahan). 3-CD Pack : CD "The Magic Eye" with a personalized autograph + the CD "NY3" (2011) + the CD "Colorfield" (2013), and your name credited in the booklet. Music Charts Offer: the CD in advance, with a personalized autograph + "Studio Masters" 24 bits HD download of the album + complete set of charts of the compositions featured on the album, and your name credited in the booklet. Skype Lesson Offer: the CD in advance, with a personalized autograph + "Studio Masters" 24 bits HD download of the album + a guitar lesson with Romain Pilon on Skype, and your name credited in the booklet. Music Lesson Offer: the CD in advance, with a personalized autograph + "Studio Masters" 24 bits HD download of the album + a guitar lesson by Romain Pilon, in person, and your name credited in the booklet. Video Offer: the CD in advance, with a personalized autograph + "Studio Masters" 24 bits HD download of the album + the video of a jazz standard of your choice recorded by Romain Pilon, especially for you (to be determined with him), and your name credited in the album. Duo Offer: the CD in advance, with a personalized autograph + "Studio Masters" 24 bits HD download of the album + a private show in DUO (rental, transportation and accomodation not included if outside of the Ile-de-France area) + your name credited as donor in the booklet. Trio Offer: the CD in advance, with a personalized autograph + "Studio Masters" 24 bits HD download of the album + a private show in TRIO (rental, transportation and accomodation not included if outside of the Ile-de-France area) + your name credited as donor in the booklet.